Content Raven utilizes the Internet Plug-In application Microsoft Silverlight. 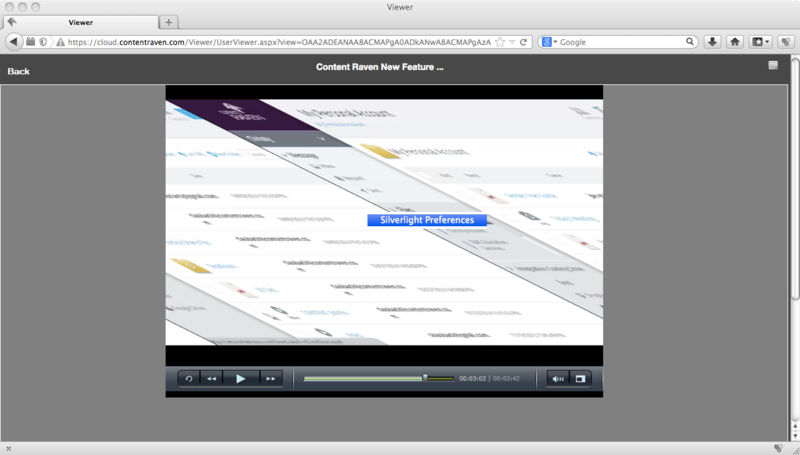 Depending on the playback settings for Silverlight on your computer, your video contents may appear skewed in the Content Raven Viewer. 2. Select the Playback Tab. 3. Uncheck the box next to "Enable hardware-acceleration playback" and exit Silverlight Preferences. 4. Refresh your page and refresh the viewer in your browser.